Managing a user’s system, be it a desktop or laptop, has become more critical than ever. The system is the conduit to everything that a user needs from an IT perspective. In fact, a compromised machine can be a death knell for an organization. But, we also know IT admins are on a budget, so is there an open source endpoint management solution worth considering? While many IT analysts and pundits will tell those that will listen that the laptop and/or desktop is dead, savvy IT admins know better. They know that, in order for proper work to be done, tablets, smart phones, and even “network computers” (i.e. Chromebooks and the like) aren’t yet equipped to be the daily platforms. So, if Mac®, Windows®, and Linux® systems are here to stay for a while, then IT admins know that they need to aggressively manage them. That includes controlling user access to the system, and managing the system itself directly, with respect to security, patches, configurations, etc. The challenge for IT admins is not just that open source solutions may not be the right fit, but also that user management capabilities aren’t generally included in most endpoint management solutions. Generally, endpoint management solutions have focused solely on managing the system, not including user identities and access. 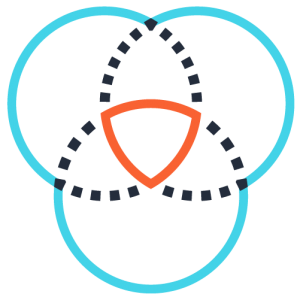 Some open source endpoint management solutions like OSSEC are mainly focused on checking for intrusions, while others are set on delivering solely antivirus or anti-malware solutions, such as ClamAV. 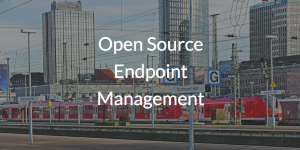 While both of these are good to strive for, and beneficial to IT organizations overall, they aren’t the full package that an ideal endpoint management solution or set of solutions should provide, open source or not. The good news is that a new generation of endpoint management is including not only system management capabilities such as policy management, but also controlling user access to the system. This new generation of endpoint management solution is called Directory-as-a-Service®. While it isn’t open source, it is an open platform that can be controlled through REST APIs and a Powershell module. Among the many features of the JumpCloud® Directory-as-a-Service is its platform-agnostic endpoint management. As a third-party cloud directory service, Directory-as-a-Service federates access to Windows®, Mac®, and Linux® machines with ease. 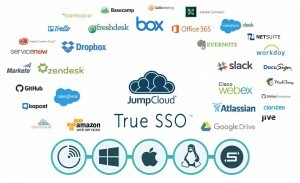 The JumpCloud product is also a best-in-class identity and access management solution, offering support of LDAP, SAML, and RADIUS protocols to provide a True Single Sign-On™ experience, connect users and their systems to applications, networks, files, and more. While it may not be an open source endpoint management solution, JumpCloud Directory-as-a-Service offers a full identity management platform. To explore the possibilities JumpCloud can bring to your organization, consider scheduling a demo to see the product in action. You can also just sign up for Directory-as-a-Service directly, getting full access of the product for up to ten users, free forever. If you have any questions or concerns, be sure to contact us or check out our YouTube channel for more content.